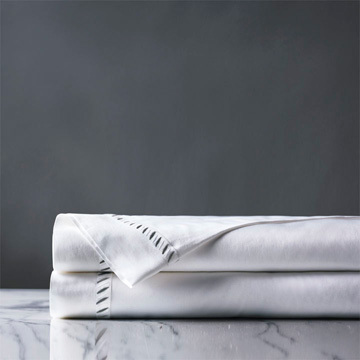 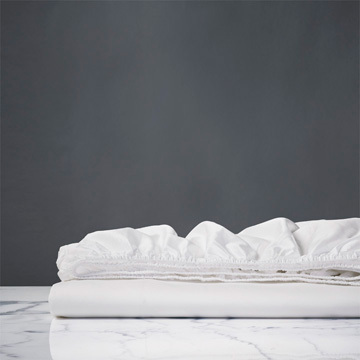 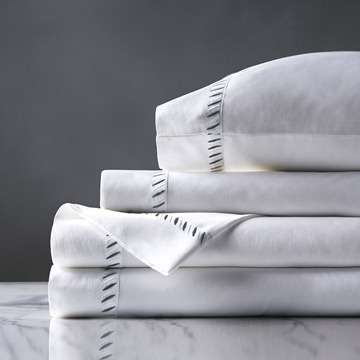 Luxurious fine linens are a must-have for a perfect night’s sleep. 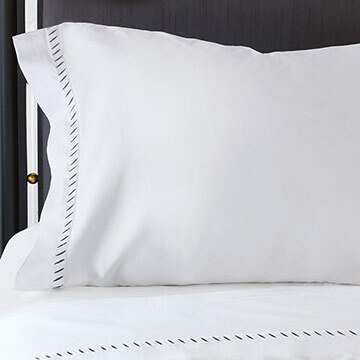 Celerie’s Ona gives sumptuous sheeting a chic touch with two-tone embroidered detailing. 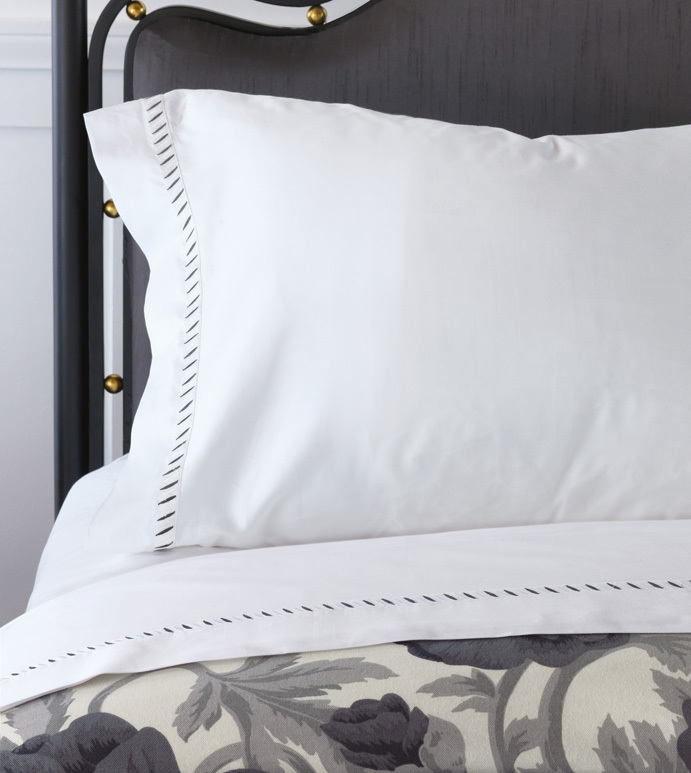 Pictured alongside the Midnight Poppy bedding collection, it is perfect for adding a bit of sophistication to a bed ensemble.